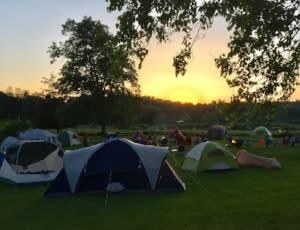 Begin your overnight adventure by setting up your campsite, and then join Museum Educators for a variety of fun night-time activities. As the sun goes down, join us for entertainment, take a trail walk, gaze at the stars, and enjoy s’mores around the campfire. A light breakfast snack and coffee will be provided on Saturday morning as you break down camp. Photo Caption: Register at hhnm.org for the Hudson Highlands Nature Museum’s Family Camp Out, from Friday, June 8, 6pm through Saturday, June 9, 8am. Photo by HHNM Staff.